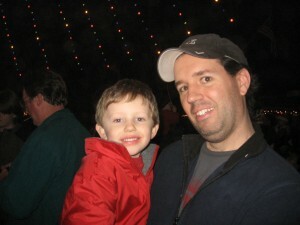 We went to the Zilker Tree Park Lighting Sunday, enjoying kettle corn, pretzels and hot cocoa. Matthew really liked the children’s choir and the count down to turning on the tree. 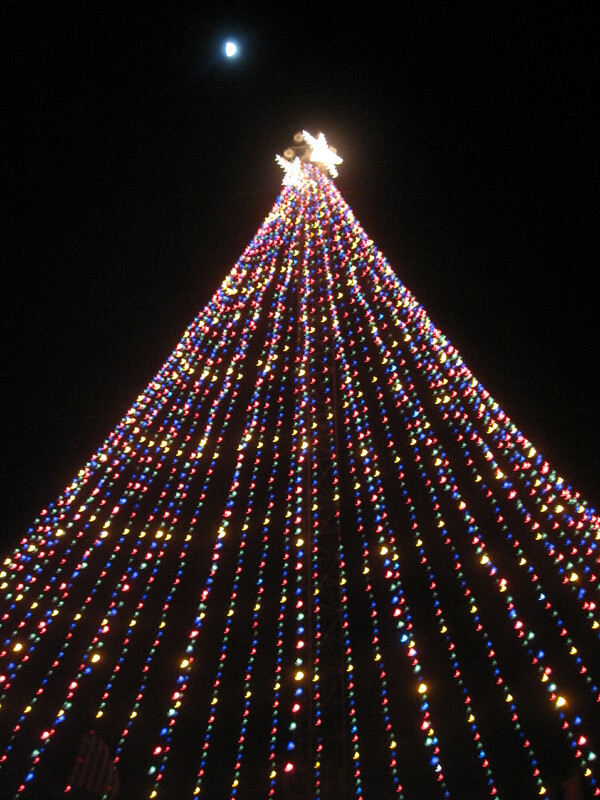 The tree is 155 feet tall and has 3,300 lights. Everyone stands under it as they flip the switch. We noticed that for the most part people here in Austin enjoy their city and are very happy to live here. That is always very comforting to witness since we moved from the only place we’ve ever lived just two and a half months ago. So far, it’s really going well. 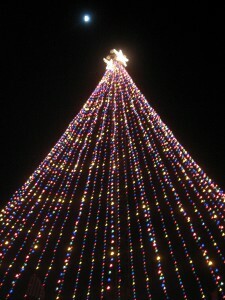 So pretty – Bettie had told me about this – they used to go every year as a family tradition! Previous PostPrevious Don’t Place Your Tree Near Your Wii!